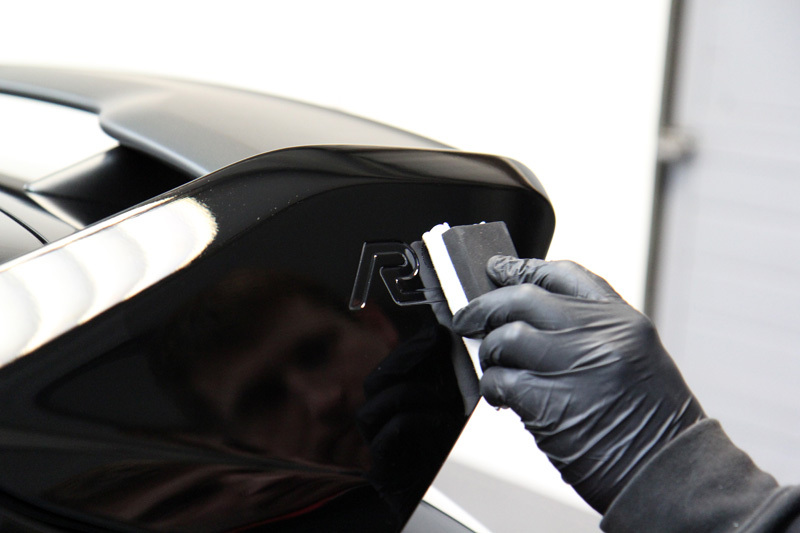 Paint Correction For A Brand New Ford Focus RS? 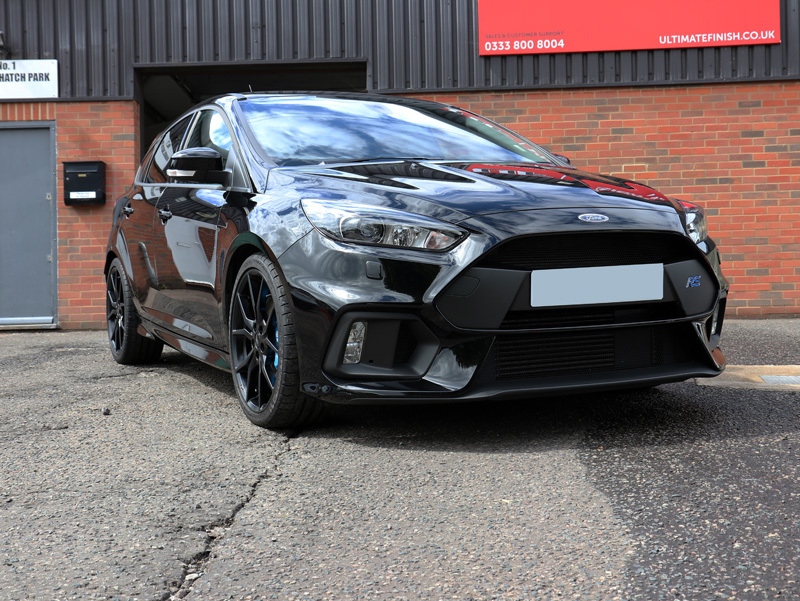 Home - Paint Correction For A Brand New Ford Focus RS? 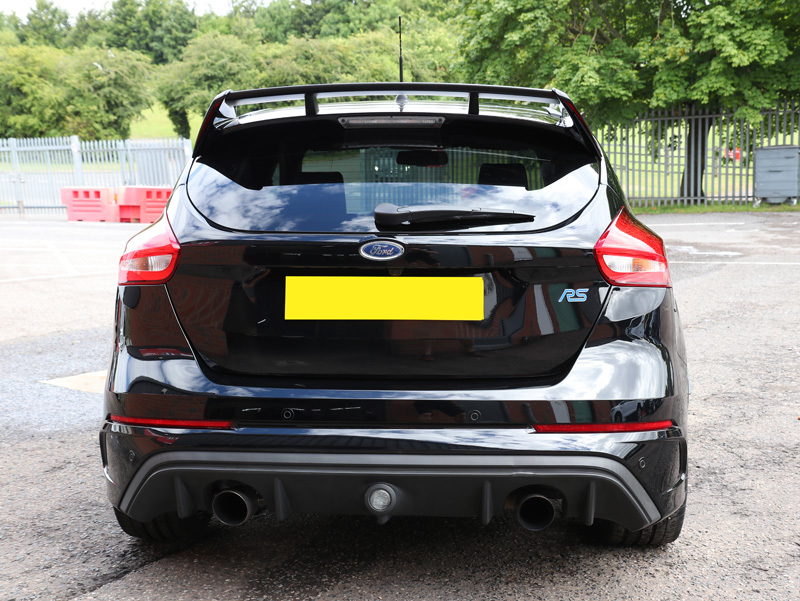 The Ford Focus RS was first launched back in 2002, yet is still only into the 3rd generation. However, this 3rd gen has one or two extra tricks up its sleeve that will delight even the most experienced RS owner. In order to attain the RS badge, this car is tested in the most hostile of environments, from the frozen Arctic to the scorching heat of the Arizonan desert and on some of the toughest tracks in the world. This generation boasts direct fuel injection, twin independent variable camshaft timing and a twin-scroll turbocharger producing 350 PS, a top speed of 167 mph and a gut spinning 1g of lateral acceleration. Featuring All-Wheel Drive and Dynamic Torque Vectoring Control, drivers can be assured of total grip and precise control through twisty corners whatever the weather and road conditions. To aid stability and control, electronically controlled clutch packs help balance engine torque between the rear wheels whilst the subframe has been engineered with extra torsional stiffness to minimise body roll. 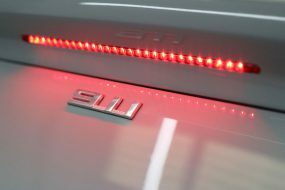 Add in Launch Control and the choice between four preset drive modes: Normal, Sport, Track or Drift and you have a car that means serious business. 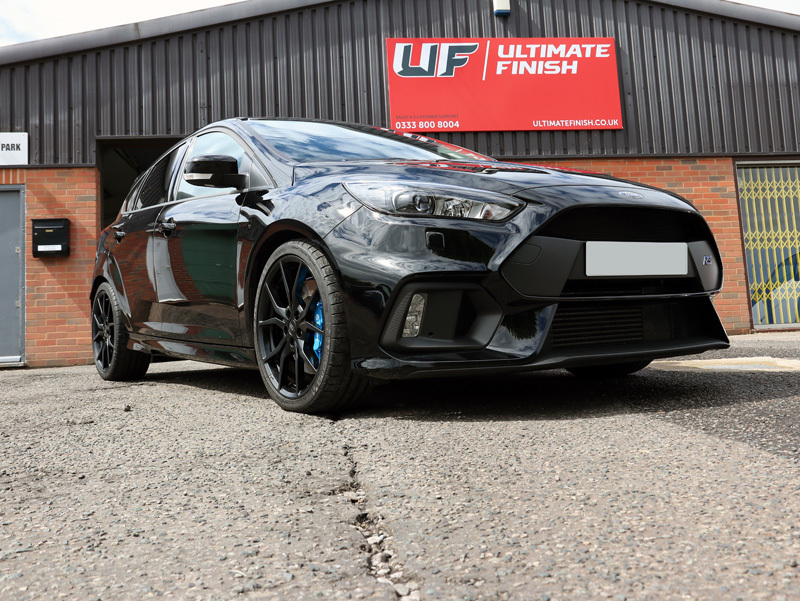 The owner of this brand new RS collected it from the dealership and delivered it directly to UF Detailing Studio for a New Car Protection Treatment, Alloy Wheel Protection, Glass ClearVision Treatment and Leather Protection. On arrival, it looked as though he’d been investigating and enjoying either Sport or Drift mode, or possibly both! 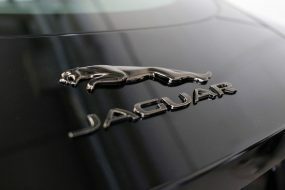 As per instructions, the dealership had left the car completely untouched, so the protective coverings put in place prior to transportation from factory to dealership remained in place. First order of the day was to remove these before beginning the decontamination process. 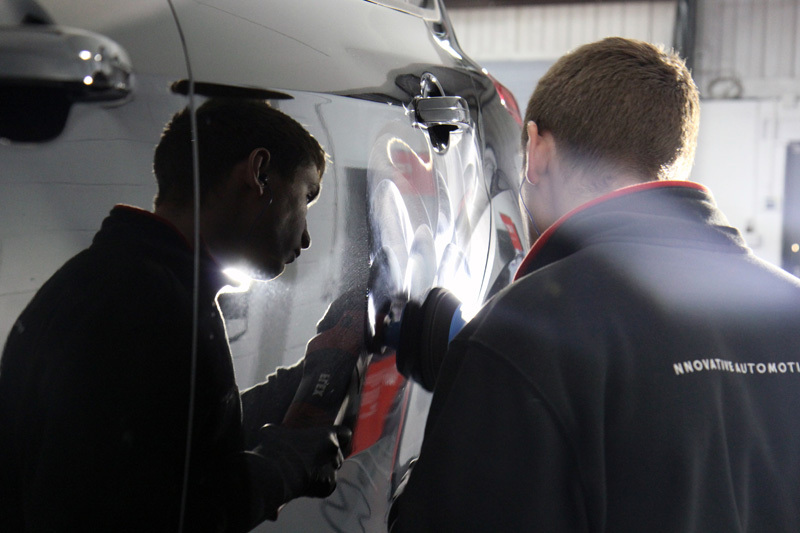 Once the films and foam had been removed, to ensure all elements of adhesive residue were eliminated, the bodywork was treated with Gtechniq W7 Tar & Glue Remover. Then the bodywork and wheels were treated with an all purpose cleaner to remove diesel splatters, oils and other grease-based deposits. 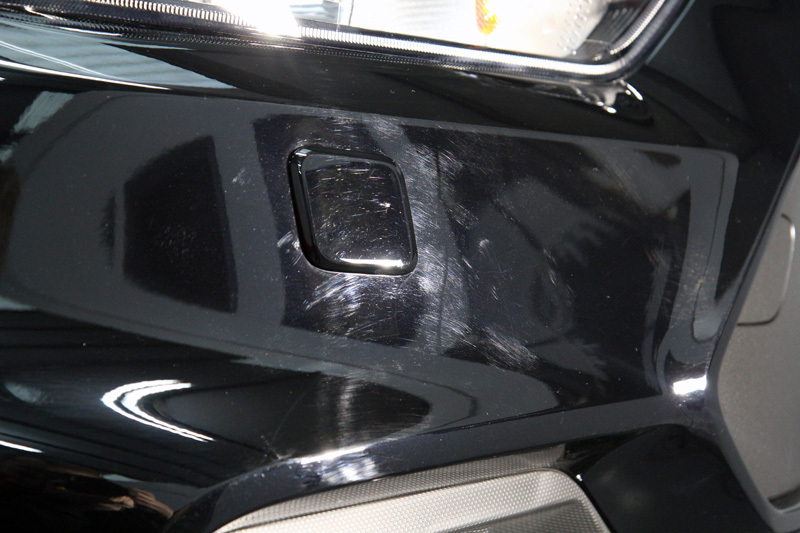 Particular attention was paid to the boot, bonnet, engine and door shuts as well the petrol filler cap, all of which act as natural traps for greasy deposits. 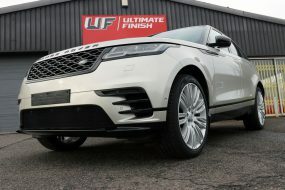 Next, the bodywork and wheels were treated with Gtechniq W6 Iron & General Fallout Remover to remove any particles which may have bonded to the surface. The active ingredient shrinks the particles so they break the bond that has formed between the substrate and allows them to be rinsed away. 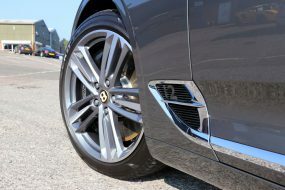 The wheels were then washed using a UF Wheel Bucket with Grit Guard and Gtechniq G-Wash. Wheel Woolies were used to pass through the alloy spokes to clean the rims thoroughly, all the way through to the back. 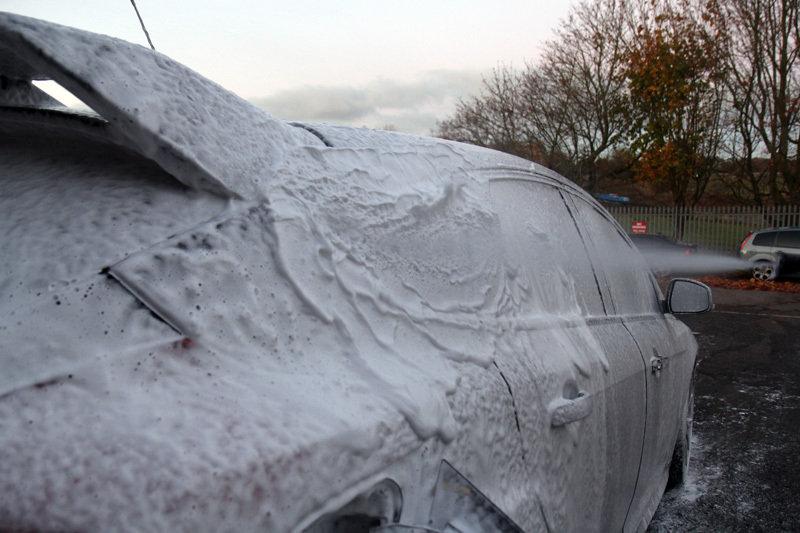 After rinsing the wheels, the whole car was pre-cleaned using Ultimate Snow Foam. 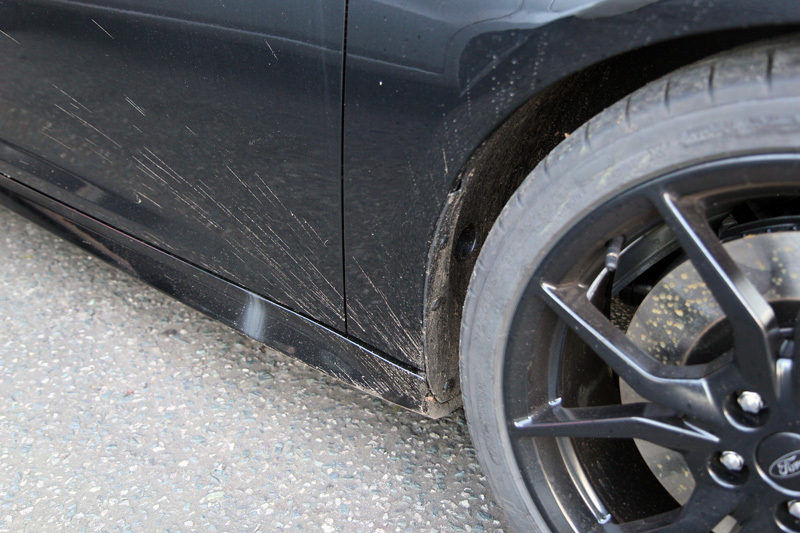 The thick clinging foam lifts larger particles of dirt and grit away from the surface of the car’s paintwork. After rinsing the foam and contamination away, the RS was washed using the Two Bucket Method, G-Wash Shampoo and an Ulti-Mitt Double Sided Merino Wash Mitt. After another rinse, an Aqua Gleam De-Ionising Water Filter was attached to the hose to give the car a final, pure water rinse. 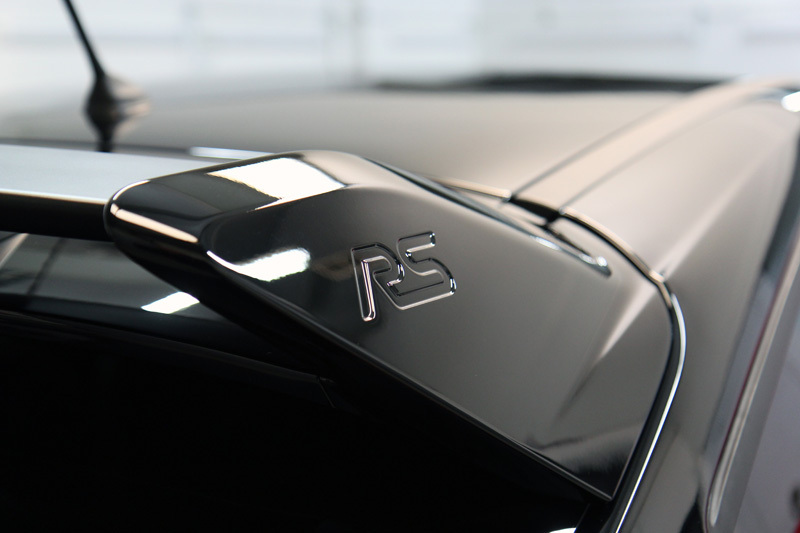 The RS was dried using soft microfibres and brought into the detailing studio. 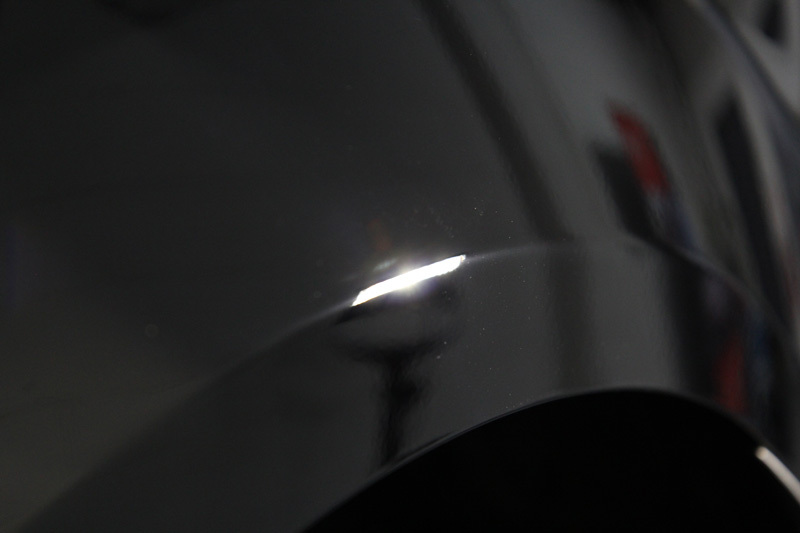 Here, the car was examined under high-intensity lighting. 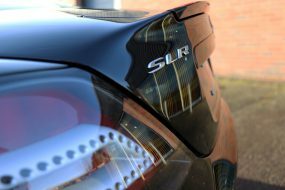 To correct the paintwork, a RUPES LHR 15ES was used with a 3M PERFECT-IT III Yellow Polishing pad and Koch-Chemie Heavy Cut H8.02. 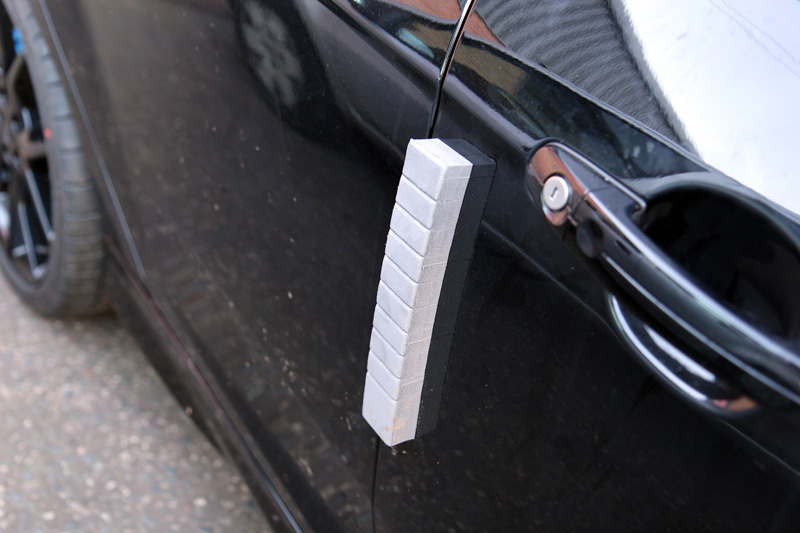 On the painted plastic trim, a RUPES LHR 12E Duetto was used with UHS Easy Gloss Compound and UHS Polishing Foam Pads. So, to refine, a FLEX PE14-2 Rotary was used with a 3M PERFECT-IT III Black Polishing Pad and Meguiar’s #205 Ultra Finishing Polish. 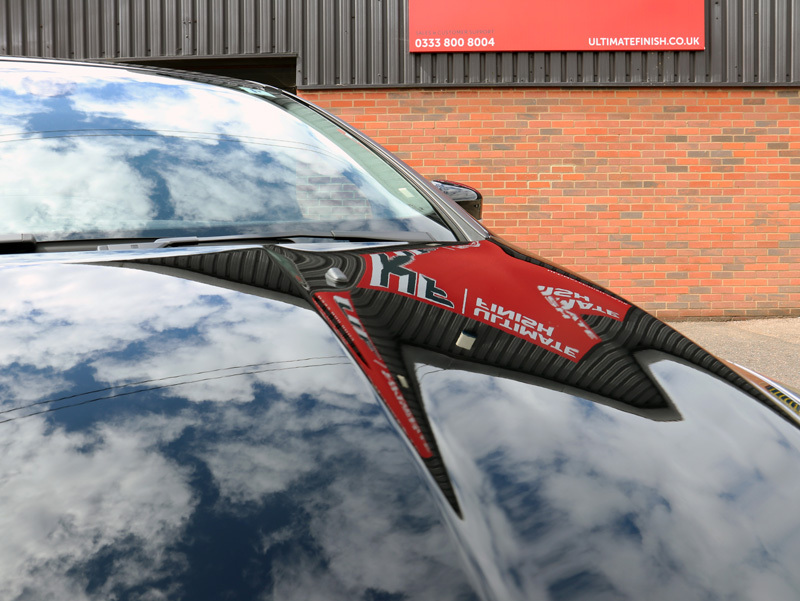 With the shine now fully restored, the paintwork and wheels were wiped with Gtechniq Panel Wipe to remove any polish or silicone residues which may interfere with the sealant layer. 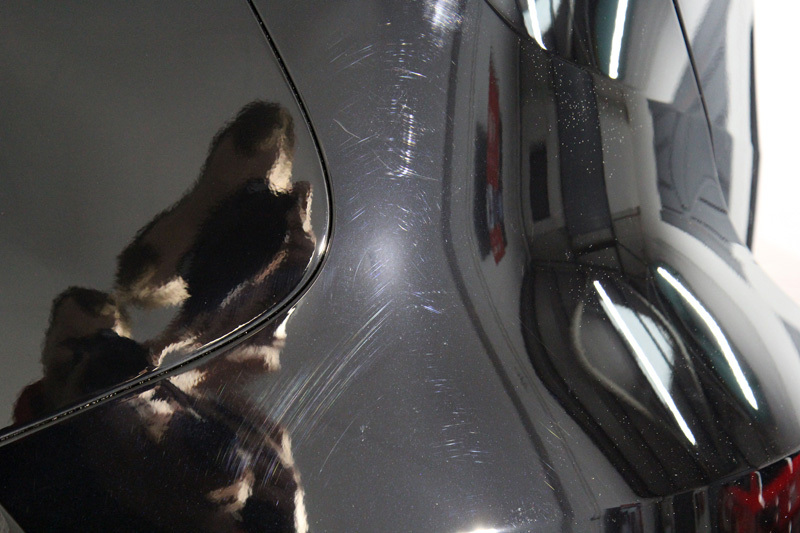 In this instance, the customer had opted for an ‘Ultra Protection’, specifically, for Gtechniq’s flagship, professional-only nano sealant, Crystal Serum finished with a layer of EXO V2 Ultra Hybrid Coating. 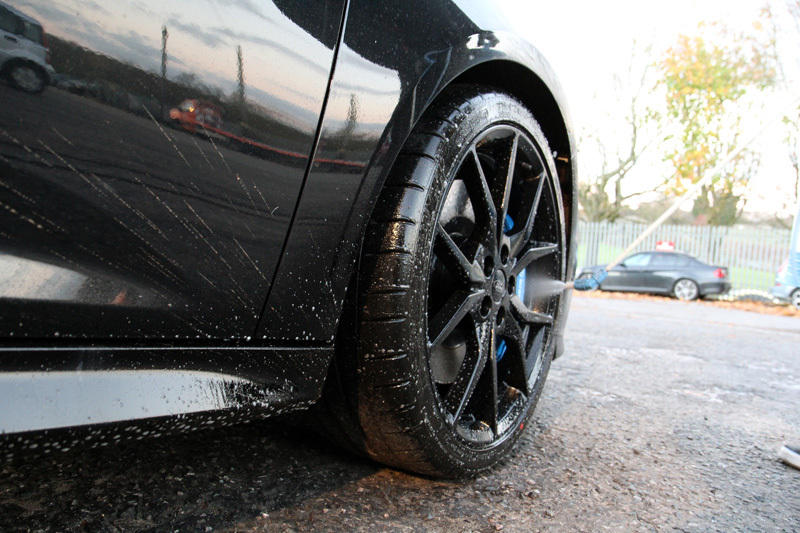 This RS had the upgraded, 19-inch black forged alloy wheels with painted callipers. 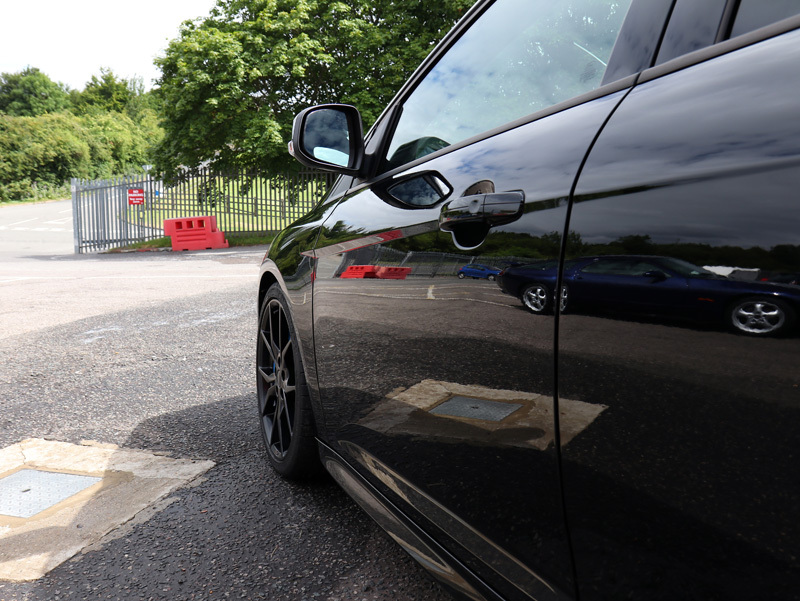 These were protected using Gtechniq C5 Alloy Wheel Armour. This nanotechnology-based coating works forms a covalent bond with the wheel lacquer to provide a tough, heat resilient barrier which repels dirty water, oils and inhibits the build-up of brake dust. Treated surfaces stay cleaner for longer and are easier to maintain. The strong chemical bonding process means the coating will not wash away or burn off – one coating can provide up to twelve months protection for hard working wheels. Glass ClearVision Treatment had also been specified. The glass was therefore cleaned before being coated with Gtechniq G1 ClearVision Smart Glass. This provides a hydrophobic barrier that causes rainwater to bead on contact and blow away easily even when driving at relatively low speeds. Additionally, the hydrophobic property means snow and ice cannot bond effectively to the treated surface, making early starts on frosty mornings much quicker and easier! The leather Recaro seats with RS badging were lightly cleaned using Colourlock Leather Cleaner Mild. 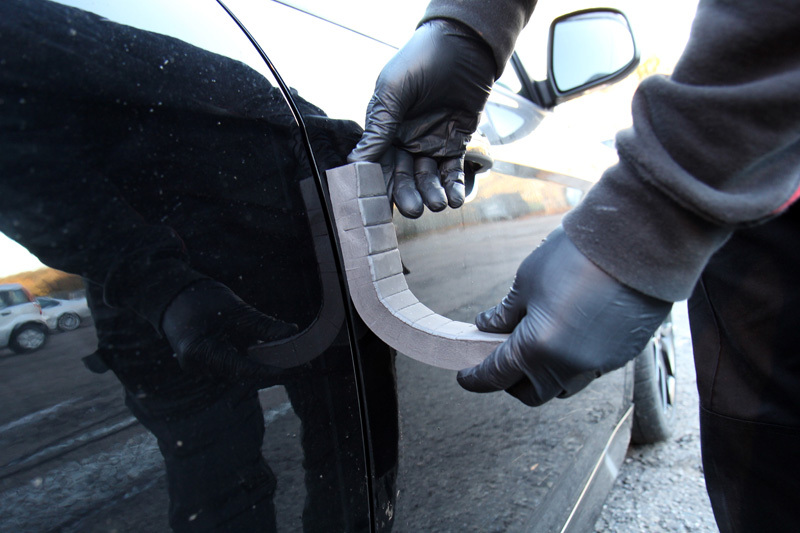 They were then protected using Gtechniq L1 AB Leather Guard. Unlike ‘nourishing’ leather which can leave a sticky residue which attracts dirt, L1 AB bonds with the leather forming a protective barrier which repels liquids. Treated leather is, therefore, resistant to stains and maintains a natural satin sheen. In addition, L1 AB contains an anti-bacterial ingredient which prevents germs from transferring and spreading. The final result was seriously impressive. Not really a New Car Protection when it arrived at the studio, it was certainly looking like a protected new car when it left!